A massive 8.3 magnitude quake followed by a series of aftershocks has rocked the Chilean coastline, shaking houses and forcing people to evacuate into the streets as authorities issued tsunami warnings for the area. Death toll of the earthquake in Chile has risen to ten, Chilean Interior Minister Jorge Burgos said at a press conference, La Nacion reports. He said that the life in the affected area is going back to normal and called on the population to calm down, ruling out fuel and food delivery interruptions. He added that it was one of the 30 most powerful earthquakes in the world history. 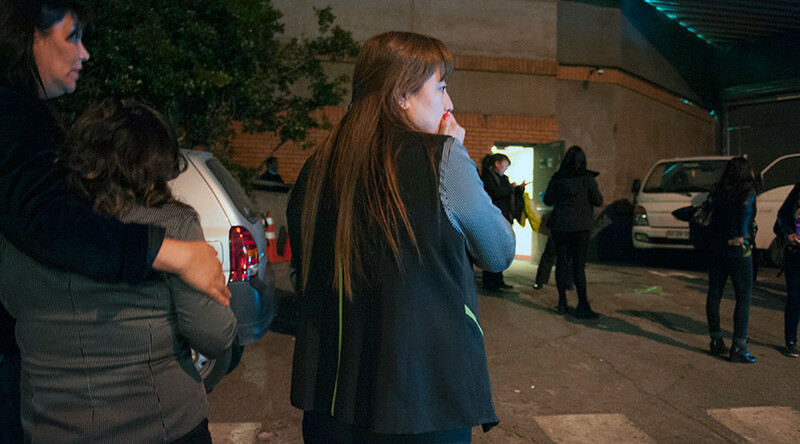 Chile cancels tsunami warning following Wednesday’s 8.3 quake and multiple aftershocks. "The tsunami warning has been lifted for all the national territory," the government's National Emergency Office said in a tweet. ONEMI has canceled Tsunami warnings for the Island of San Felix and Juan Fernandez Archipelago in addition to the regions of Los Rios, Los Lagos, Aysen and Magallanes. However, the rest of the coastline remains under tsunami alert. President Bachelet has declared a "disaster area in the town of Choapa," according to Chilean Deputy Interior Minister, Mahmud Aleuy. Chilean Deputy Interior Minister Mahmud Aleuy says that "President Bachelet has declared [a] disaster area in the town of Choapa." - Lissette Araya Silva, 35, who died following the collapse of a roof. - Jofre Gloria Victoria, 20, who died following a rockslide. - Luis Damaris, 67, who died in Van Buren Hospital cardiac arrest. - Renato Salazar Diaz, 91, who died in the city of Maipú from cardiac arrest. - Humberto Fernandez, 81, who died of cardiac arrest in Valparaiso. Some 186,000 customers are without power in the Coquimbo region, ONEMI reports. Meanwhile, new footage shows residents in Vina del Mar evacuating. Another aftershock has been recorded near Ovalle, Chile, this time one of 6.2 magnitude. This brings the total number of aftershocks recorded by the USGS to 15. Video footage captured by Chilean CCTV shows the moment of impact in Santiago.